Carte graphique PCI-Express overclockée - Refroidissement semi-passif (mode 0 dB) - Avec backplate - Compatible VR / SSD - SATA III - Contrôleur Marvell 88SS1074 - Lecture max : 550 Mo/s - Ecriture max : 525 Mo/s - Mémoire TLC 3D + 2000 V-Bucks et pack contre-attaque offerts ! EVGA GeForce GTX 1660 XC GAMING, 6 Go + bundle Fortnite offert ! EVGA GeForce GTX 1660 XC ULTRA GAMING, 6 Go + bundle Fortnite offert ! 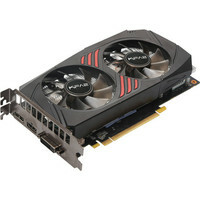 EVGA GeForce GTX 1660 XC BLACK GAMING, 6 Go + bundle Fortnite offert ! 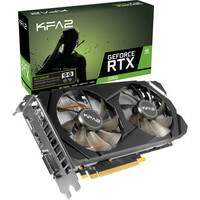 EVGA GeForce GTX 1660 Ti XC BLACK GAMING, 6 Go + bundle Fortnite offert ! EVGA GeForce GTX 1660 Ti XC GAMING, 6 Go + bundle Fortnite offert ! Asus GeForce GTX 1660 Ti PH OC, 6 Go + bundle Fortnite offert ! 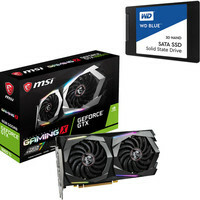 Asus GeForce GTX 1660 TUF OC GAMING, 6 Go + bundle Fortnite offert ! 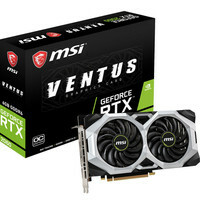 Asus GeForce GTX 1660 Ti DUAL OC, 6 Go + bundle Fortnite offert ! Zotac Gaming GeForce GTX 1660 Ti TWIN FAN, 6 Go + bundle Fortnite offert ! Zotac Gaming GeForce GTX 1660 TWIN FAN, 6 Go + bundle Fortnite offert ! 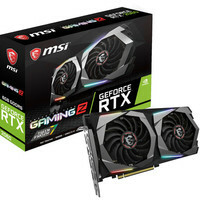 Asus GeForce RTX 2060 DUAL OC, 6 Go + Jeu offert !